Amazon.com today announced plans for a new fulfillment center in Jefferson, Georgia. Located in Jackson County, the City of Jefferson is about an hour northeast of Atlanta. The new Amazon facility will create 1,000 new full-time jobs when it is opened. Amazon employees at the more than 850,000 square-foot fulfillment center will pick, pack and ship large items for customers like household furniture, sporting equipment and gardening tools, to name a few. Full-time employees at Amazon receive highly-competitive pay, health insurance, disability insurance, retirement savings plans and company stock. The company also offers up to 20 weeks of paid leave and innovative benefits such as Leave Share and Ramp Back, which give new parents flexibility with their growing families. Job seekers can learn more about open positions and apply online at amazondelivers.jobs. 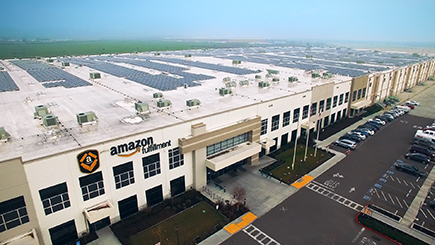 Amazon currently has more than 1,500 full-time employees at its existing facilities across the state. The new Jefferson center will bring those totals up to 2,500. Governor Nathan Deal welcomed the Amazon's further expansion into Georgia. Jefferson, Georgia Mayor Roy Plott echoed the Governor's comments.